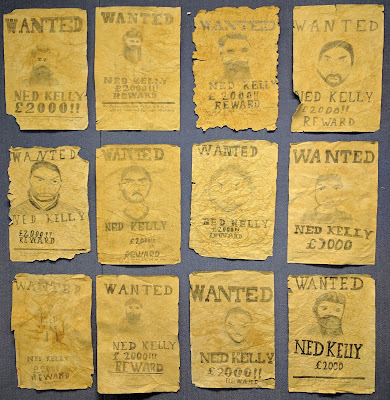 To go along with our class novel 'Black Snake: The Daring of Ned Kelly', we created these wanted posters. We started by scrunching up our A3 paper several times to get some nice creases and then trying to flatten it all out again. 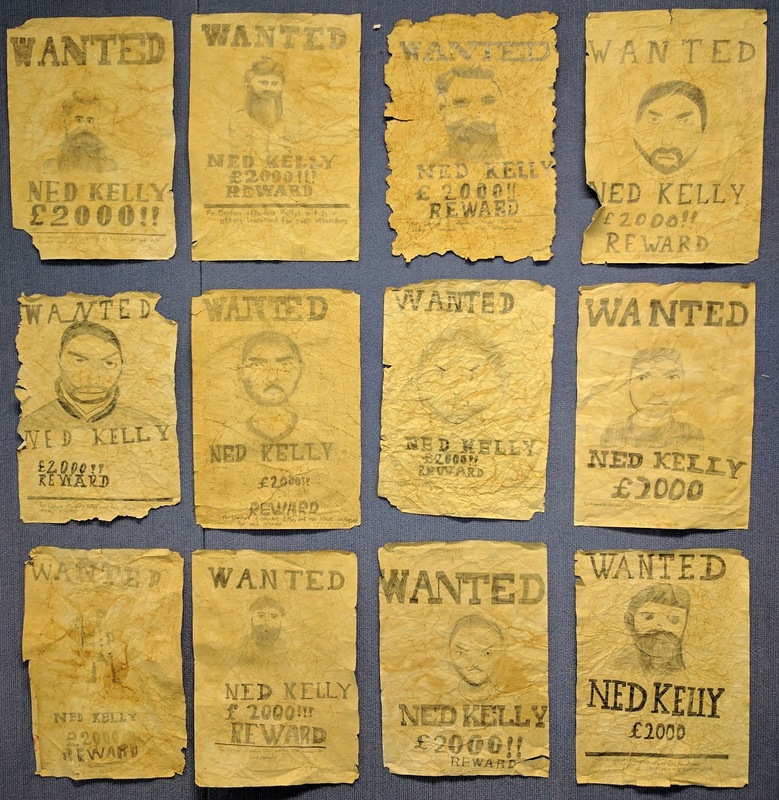 We then stained the paper using tea and stress the edges. We looked at several different portraits of Ned Kelly and students were able to chose the one they would like to base their work on. 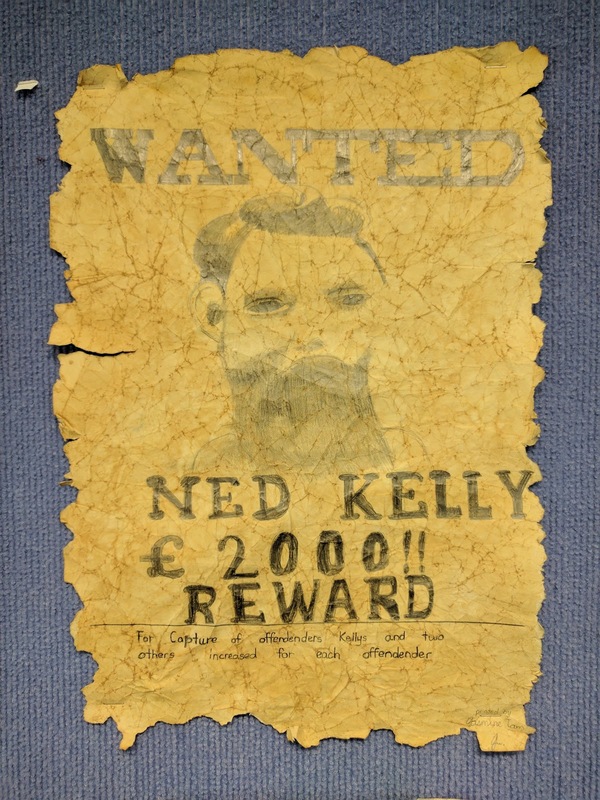 We also focused on the WANTED text and how to plan so that it is placed correctly with a specific font design. The students did a wonderful job.